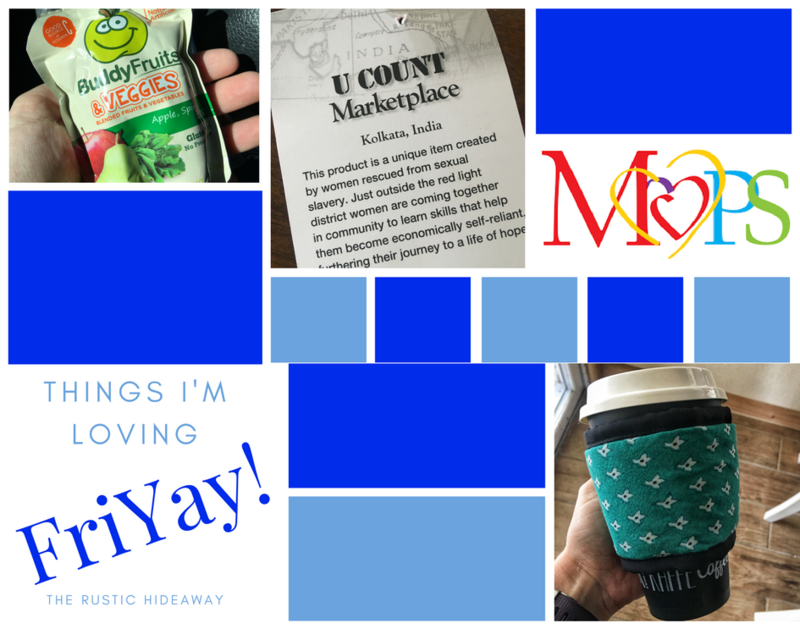 It may not be Friday the 13th, but it is the 13th Things I'm Loving FriYay and that is something to celebrate! I love sharing my favorite places, foods, and things with you all and I hope you have found some new favorites of your own to try. Now, I know it is only November and Thanksgiving hasn't even happened yet, but...hear me out! This week's TILF is going to be focused on--wait for it--CHRISTMAS! Now put down your pitchforks and hear me out. 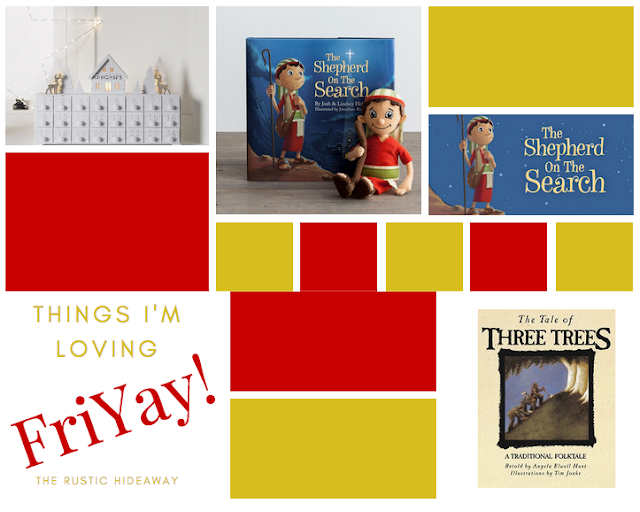 The only reason I am posting this now is that I am going to be sharing with you some amazing Christmas finds and I wanted to give you plenty of time to get them ordered. Step aside Elf on the Shelf because I have something even better. As a Christian, I am always trying to find a way to keep the focus of Christmas focused on Christ...not Santa. Now, now, I am in no way tearing down anyone out there who is huge on the Santa train (The Santa Clause is one of my favorite holiday movies--so there you have it). I am just stating what I am doing for my family and the traditions we are trying to start for our son. In my search to find more Christian holiday traditions that are equally fun for my son, I stumbled upon this baby, and boy am I excited. The Shepherd on the Search is very similar to Elf on the Shelf in the sense that he finds a new position for your kids to come across each morning. 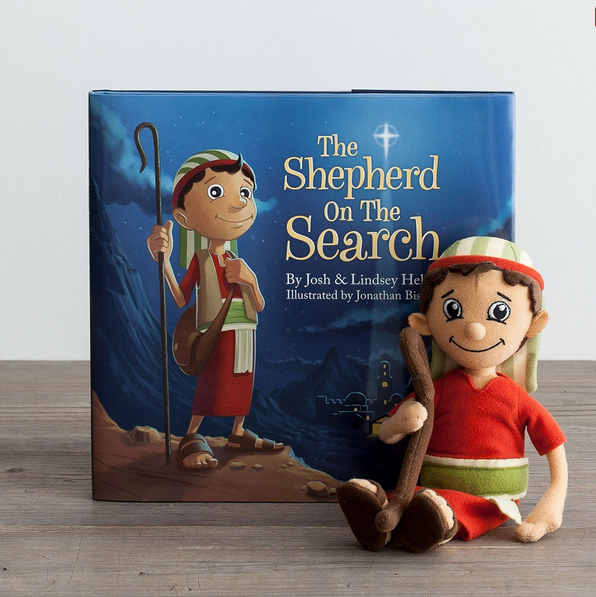 During the Advent season, you and your kids will read the story of the shepherd who hears of the birth of Christ and embarks on a journey to find Him. To order the Shepherd doll as well as the storybook and Nativity Keepsake Box through Ebay, click here. As a child, one of my favorite traditions started on December 1st when we would get to break into the Christmas Advent calendar. Because I had four brothers, we were each given one of those cardboard calendars with a piece of chocolate inside for each day. As much as I loved them, they had a tendency to fall apart before we reached Christmas. 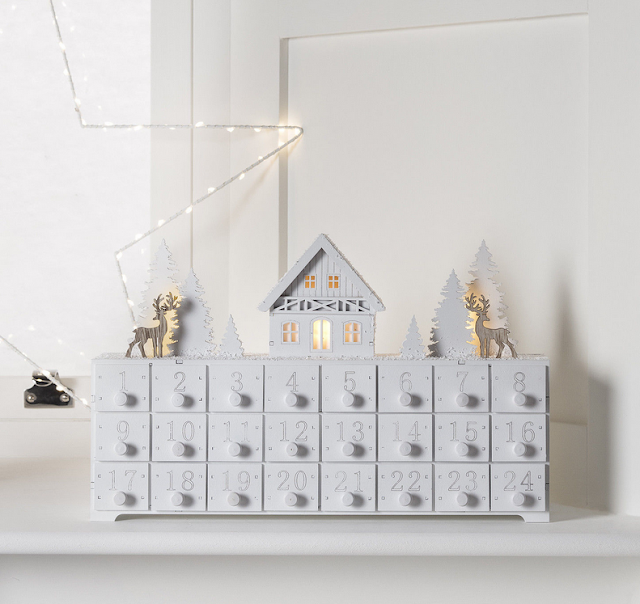 This calendar is made of wood, lit with LED bulbs, and has perfect little drawers to place your goodies into for each day of the Christmas season. Plus, how spectacular would this look alongside your Christmas decorations? It is the perfect Advent calendar to use again and again for years to come. 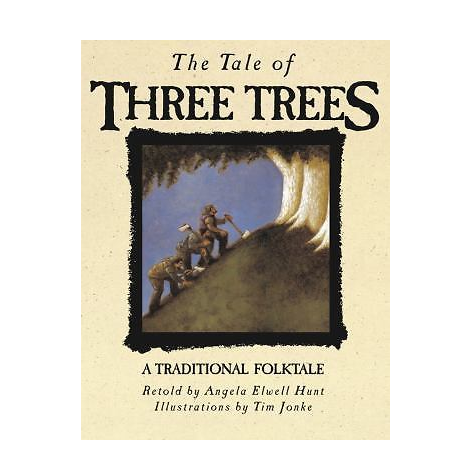 My family was gifted this book last year by a very dear friend and it is by far my absolute favorite Christmas tale. As much as I would love to tell you all about it right now, the magic really is in reading the book for the first time. Hello friends and happy Friday to you! I don't know about where you are at, but here in Wyoming it feels like we skipped fall and went straight to winter in one day. Yesterday my son and I spent the afternoon outside enjoying the 80˚ weather and today it is snowing. But that is to be expected here and, to be totally honest, I kind of like it. Not because I like the freezing cold, but it is fun to know it may be super nice again tomorrow. 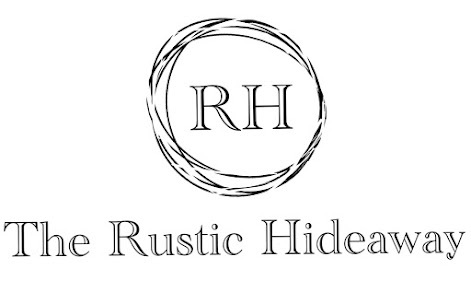 Last week I went over a few fall faves of mine and, though I would really like to continue on the fall train, I discovered some amazing new products and a group this week that I wanted to share with you all. So here you go--this week's Things I'm Loving FriYay! I have been wanting to join this group for a while but couldn't while I was a working mom, due to the hours they met, and then I kind of just lost track of everything this past year. But making mom friends is an incredibly high priority for me because, let's face it, our kids are awesome, but we would probably go insane if we had to spent all day every day inside with them. Am I right? Yesterday was my first MOPS meeting at my church (they meet twice a month) and it was fantastic. The table I was assigned to was filled with a group of lovely ladies, many of whom I share a lot in common with. MOPS is basically a Christian based group in which mothers from all walks of life can gather and enjoy each other's company for a couple of hours every other week. Not only do they feed you food, but they have these angels on Earth called Moppets who watch your children for you while you are meeting. For more information or to get involved please click here. While at MOPS yesterday I won a doorprize. First of all, I never win doorprizes, so that was the start of something magical. Second of all, what I won was truly spectacular and introduced me to a new product line I was not formerly aware of. 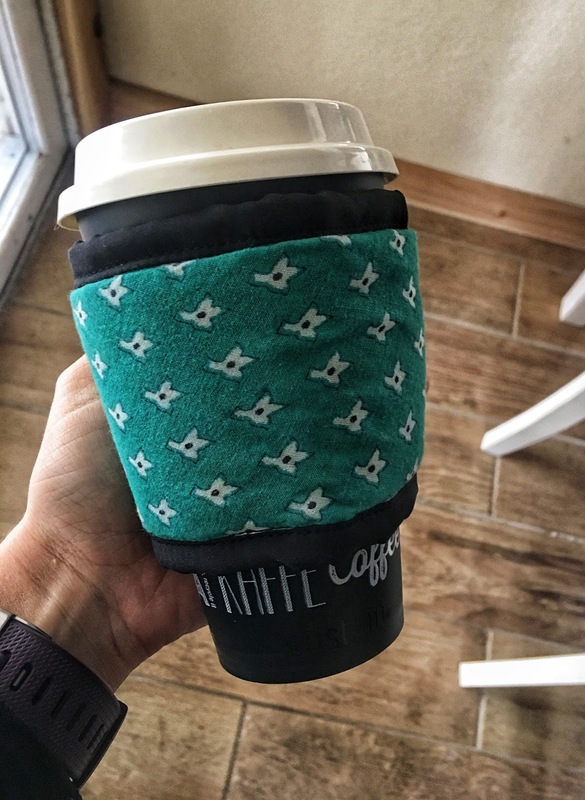 I won this cute little fabric coffee koozie. Though I truly do love it, I was most happy with the note on the inside. It turns out that this koozie, along with many other products, was hand made by a woman who has been rescued from sexual slavery in India's red light district. I mean, that is amazing right!?! Find these and more products from the U Count Campaign here. 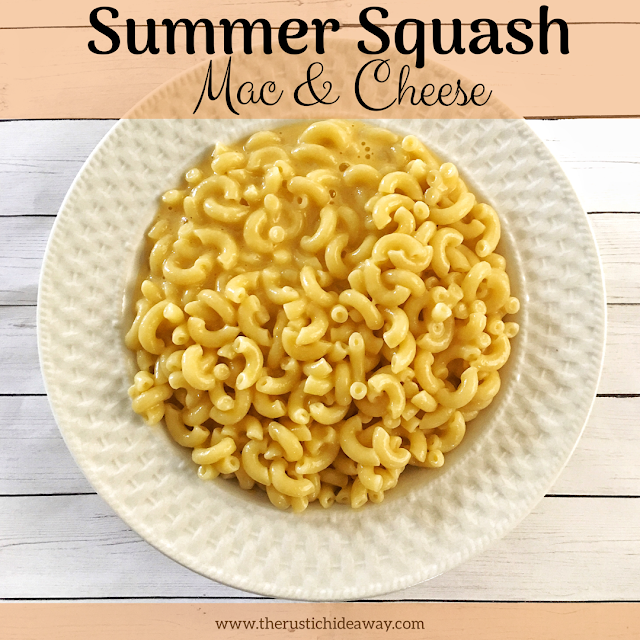 If you are anything like I am as a mom, you are constantly trying to find new and creative ways to sneak extra veggies into your kiddo's diet. I never thought I'd say it, but sometimes I miss the days when I could spoon whatever I wanted him to eat into his mouth and he wouldn't throw a fit. Thankfully, I found these awesome pouches at the grocery store for a dollar a piece. They are the perfect snack to throw in your bag for a car ride treat or give to your kid as a side to their meal. They are 100% fruits and veggies, gluten free, and preservative free. E tried the apple and spinach flavor and had it sucked down in 30 seconds flat.